Dust off your camera and brush up on your photo skills cuz’ RSD has gone viral and we want you to join us. Take some pics/video of you, your RSD product and your bike then post it online somewhere (Blogspot, YouTube, Facebook, Flickr, MySpace, etc). 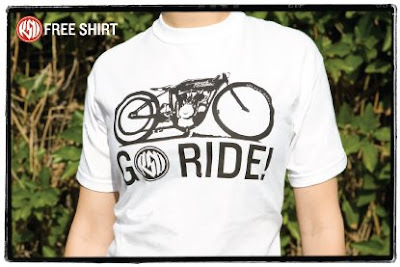 Hit us up at info@rolandsands.com with a link to your post and we will hit you back with a free, limited edition, RSD “Go Ride” T-shirt. It’s that easy. Every month we will be picking the best of the best and posting them right here on the official RSD Blog, so make sure your pics/videos are super stylish. 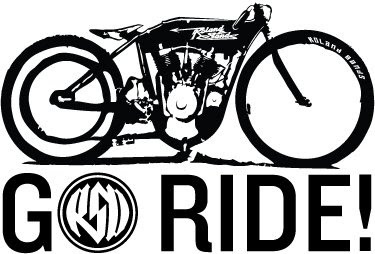 We want you to get creative, have some fun and show us how much you enjoy riding with your RSD product. Be one of the first 5 customers to get 10,000 video hits and we will hook you up with a $100 RSD gift certificate.